Steve took us to Coffs Harbour airport to collect our rental car. I was advised we had been given a complementary upgrade to an Audi A4 wagon. I gratefully accepted as it made the task of fitting in all the bags much easier. My guess is the rental company actually wanted the car relocated back to Sydney. We faced a six hour, 600km journey and did our usual thing of stopping every two hours for a stretch. 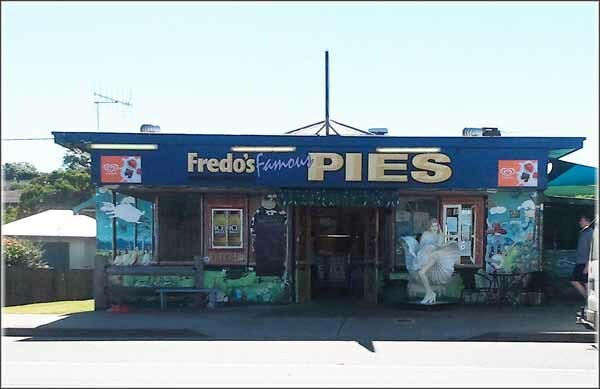 On the way north we had seen Fredo’s Famous Pie Shop and we decided to tempt ourselves on the way back. It was an interesting experience. 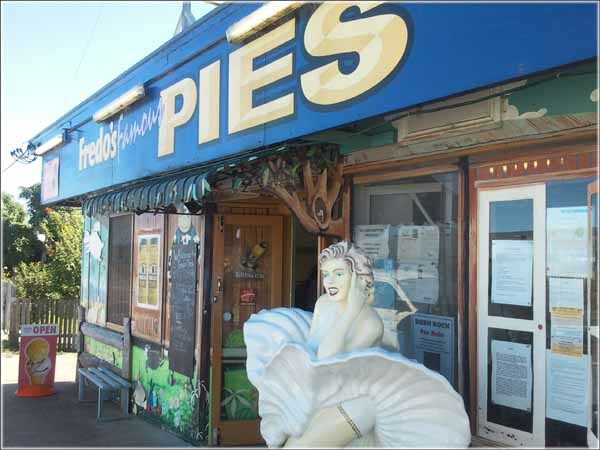 All they sell are pies with a very wide selection. Beef, port, lamb, poultry, vegetarian and exotic (crocodile & camel). I’ve previously eaten both crocodile (tastes like chicken) and camel. I selected a lamb and mint pie whilst Jan had chicken. Mine was delicious! And so on to Sydney.